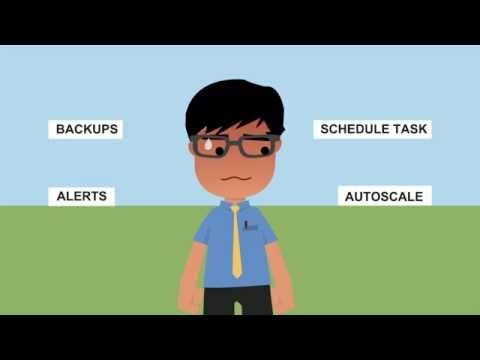 ECmanaged is a complete multi-Cloud and IT management tool designed for SMBs. It allows users to implement, manage and take full control of their cloud based computer systems in one place. Physical servers can also be included into the platform making ECmanaged a complete Cloud and IT management tool. ECmanaged uses a single, intuitive dashboard allowing users to manage multiple Clouds in a unified way, at the same time. It offers users the opportunity to combine several Cloud providers into the same platform or to extend physical infrastructure into the Cloud. ECmanaged allows users to develop Cloud platforms and avoid provider-imposed restrictions. Users can add as many providers as they want and then analyze their activity & cost. Users are in full control of their platforms at the implementation stage and beyond. Unify the management of servers using a single control panel. ECmanaged allows you to streamline the performance and governance of different IT systems, combining several cloud providers into one platform. Add as many servers as you want. Activate, deactivate, clone or resize cloud servers with ECmanaged's self-service provisioning. Schedule and automate IT tasks based upon powerful monitoring information. Avoid unused capacity and safeguard the performance of your application with ECmanaged's auto-scaling process. ECmanaged will downsize or upscale your platform when and where it is needed. Increase availability by solving 80% of application incidents automatically in less than 5 minutes with ECmanaged's Auto-solver. Stay well informed through constant monitoring of service status, app performance, capacity used & user experience. Below are some frequently asked questions for ECmanaged. Q. What type of pricing plans does ECmanaged offer? Q. Who are the typical users of ECmanaged? Q. What languages does ECmanaged support? Q. Does ECmanaged support mobile devices? Q. Does ECmanaged offer an API? No, ECmanaged does not have an API available. Q. What other apps does ECmanaged integrate with? Q. What level of support does ECmanaged offer? Q. Which apps is ECmanaged compared to most often?